Christmas is all about the ornaments, and there are just never enough of them. Add a personal touch to your Christmas tree and home with these easy DIY Christmas ornaments and decorations. 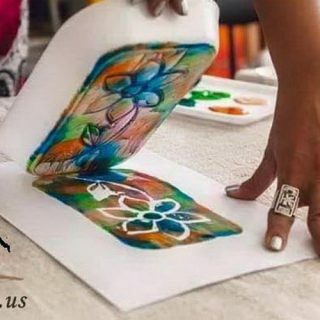 From DIY mitten ornaments and reindeer thumbprint ornaments, to photo transfer ornaments and salt dough puppy paw print ornament, these ideas will give your home a warm, joyful look during the holidays. 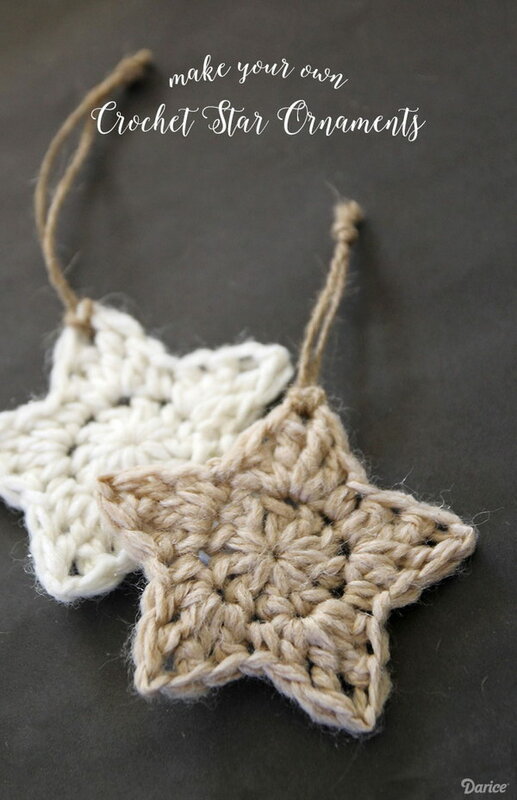 Super simple and quick to make this Christmas ornament! Find some child-sized red mittens and start with this craft with the tutorial via 30 Minute Crafts. These pom pom and pinecone ornaments are SO EASY! They’re a great craft for both kids and adults and they end up looking surprisingly beautiful! Tutorial via One Little Project. 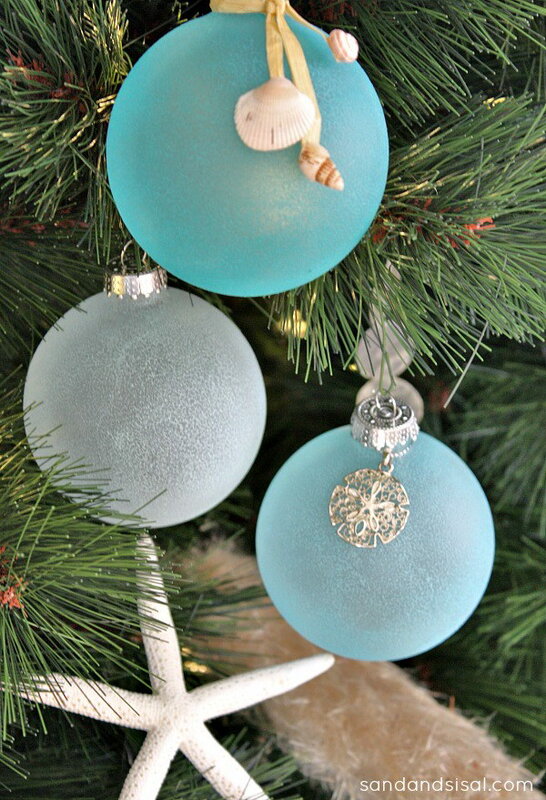 These sea glass ornaments are great for your coastal christmas tree! Easy and fun to make with your families. Tutorial via Sand and Sisal. 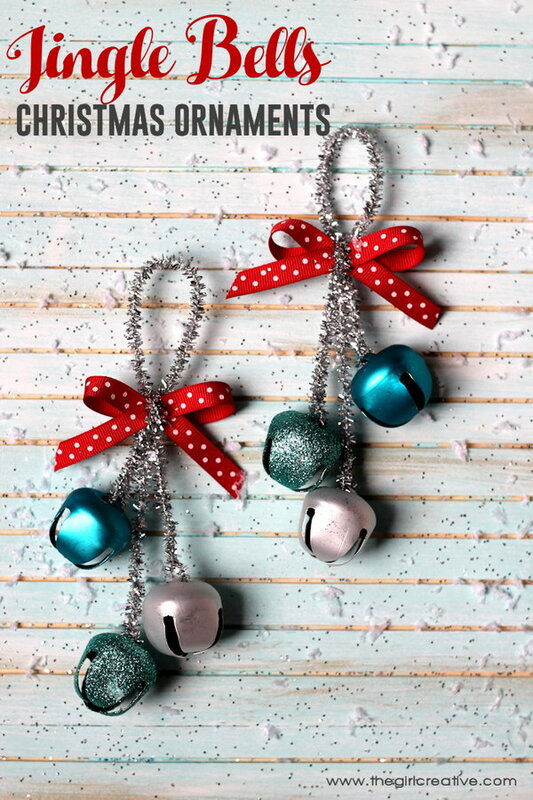 Deck the halls with these festive and cute Jingle Bells Christmas Ornaments. They also make great neighbor gifts. Easy steps to make it via The Crafting Chicks. Another easy and festive handmade craft for your Christmas! Check out the details via The Pin Junkie. 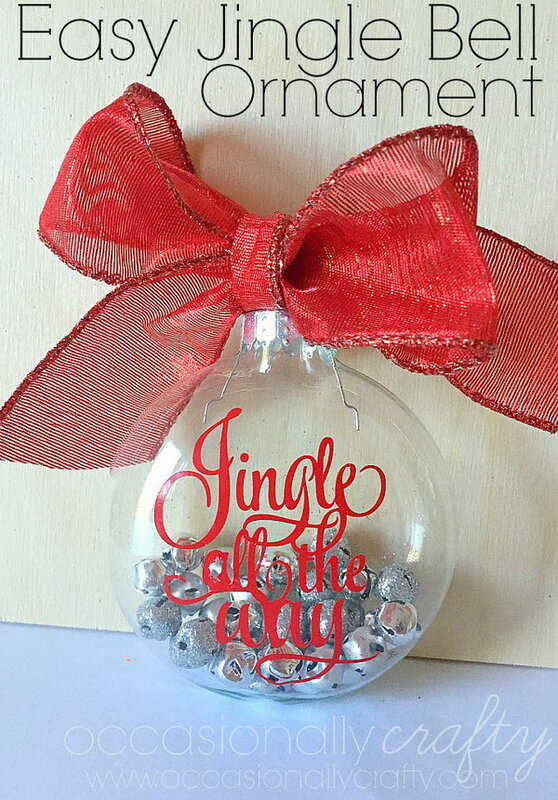 This handmade Jingle Bell ornament are easy and quick to make in 15 minutes and just with a few supplies! It also makes a great Christmas gift. 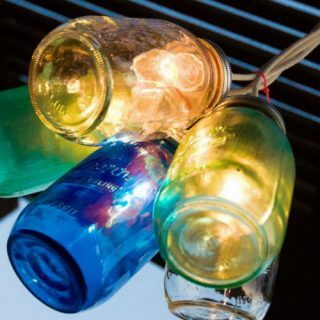 See the easy tutorial via Occasionally Crafty. More instructions via Typically Simple. These glitter acorn ornaments are super fast and easy to make that can get your kids involved. They are perfect for both Christmas and autumn decoration. They also make great holiday gifts for friends. 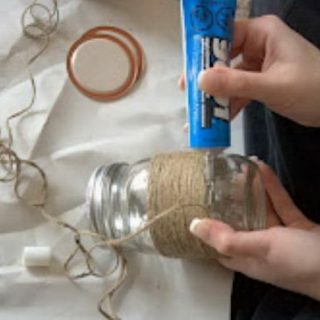 See how to make them via curious and cat cat. Slice up a paper towel or toilet paper roll and you’ve got yourself a glittery, star ornament for your Christmas tree decoration this year. See the steps to make it via blog alacart. Reindeer Thumbprint Ornaments. 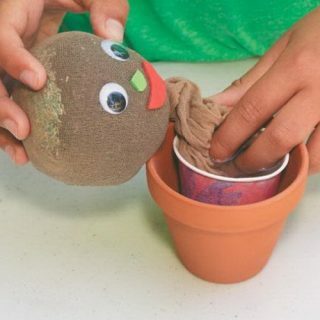 Super fun crafts for your kids to make! Easy instructions via Mom VS the Boys. 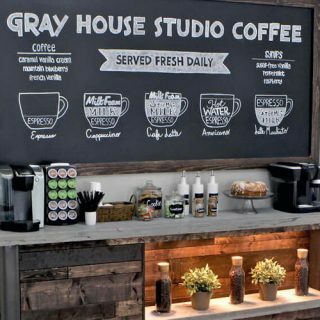 Get a Sharpie marker, then you can start to do this project! 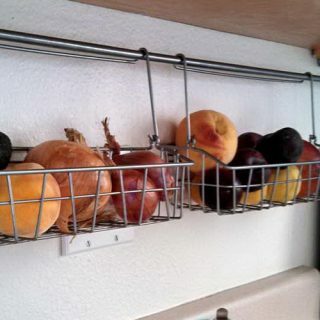 Tutorial via jennaburger. 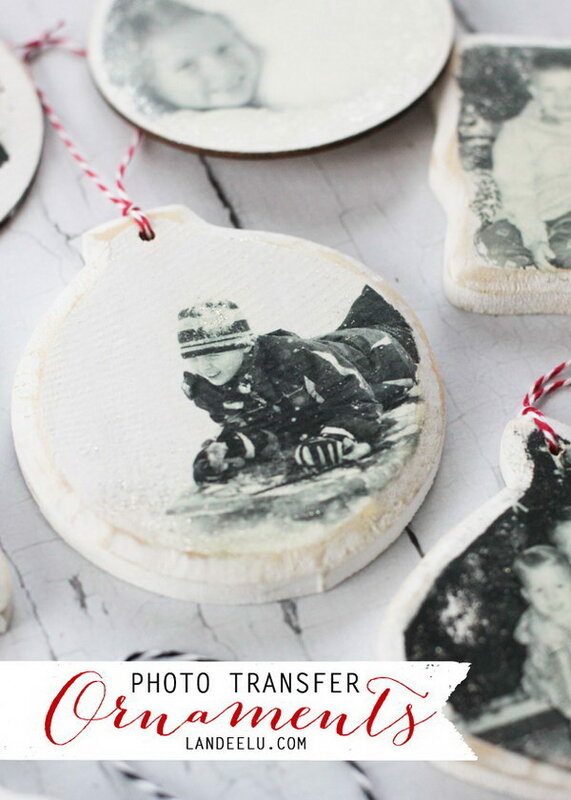 Display your holiday memories on the Christmas tree with this photo transfer ornament! Super easy and fast to make with fun! See the instructions via Landee See Landee Do. Make a puppy paw print christmas ornament out of salt dough. It’s a great keepsake for dog owners. Tutorial via Crafty Morning. 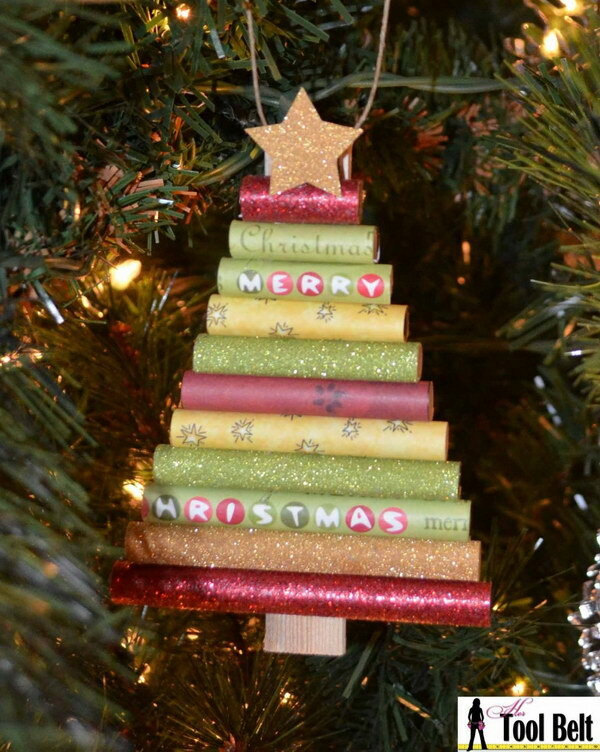 Rolled paper Christmas Tree Ornament. Get the steps to make it via her tool belt. 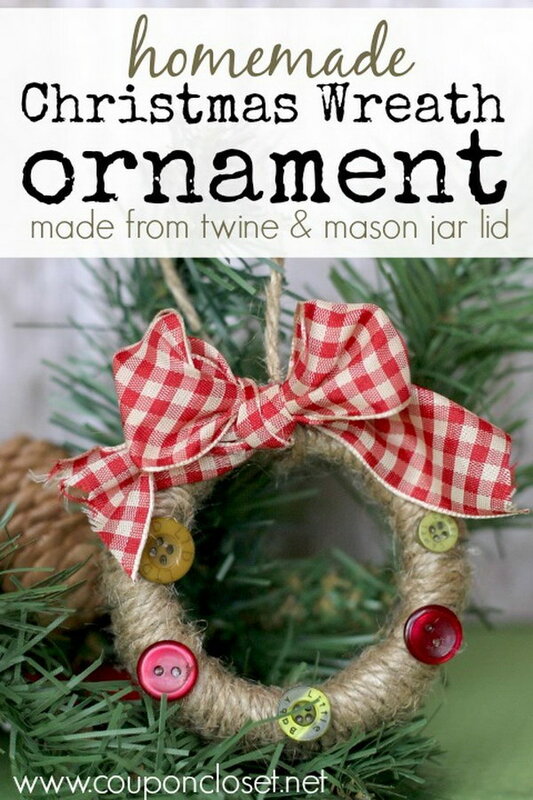 A wonderful and adorable Christmas craft to make with family and friends. They only took you maybe 5 minutes total. Ses the details via pizzazzerie. 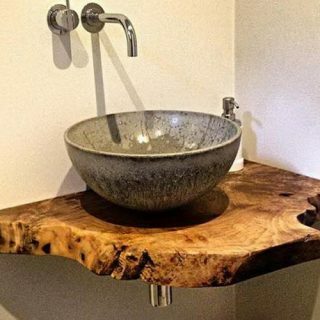 Great use for an old key! 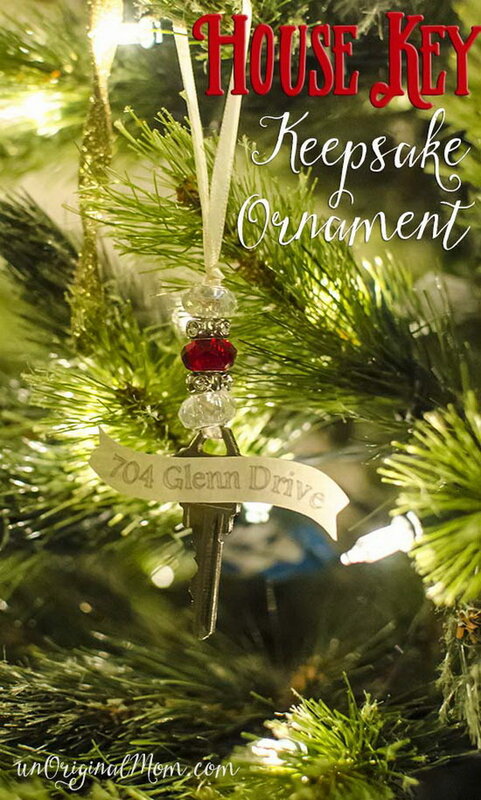 What a creative idea to turn it into a keepsake ornament! See the steps via unoriginal mom. Tutorial via the pin junkie. 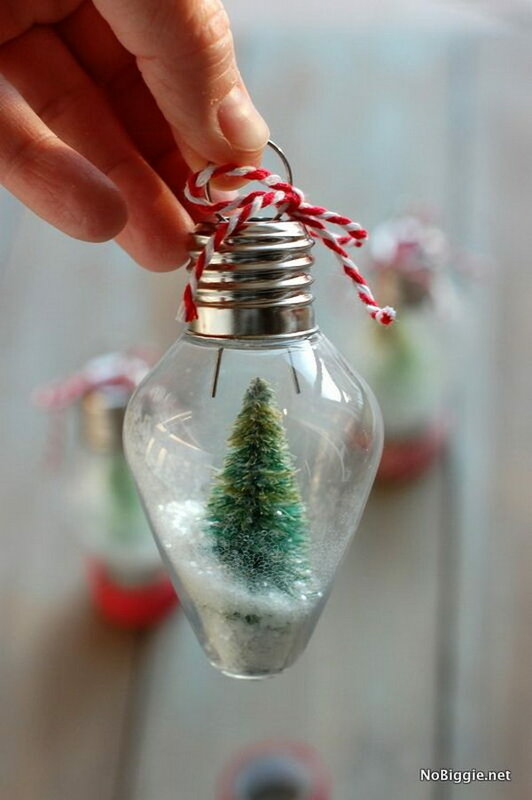 Transfer those clear plastic old-fashioned light bulb into stunning ornaments for your Christmas tree! Tutorial via No Biggie. 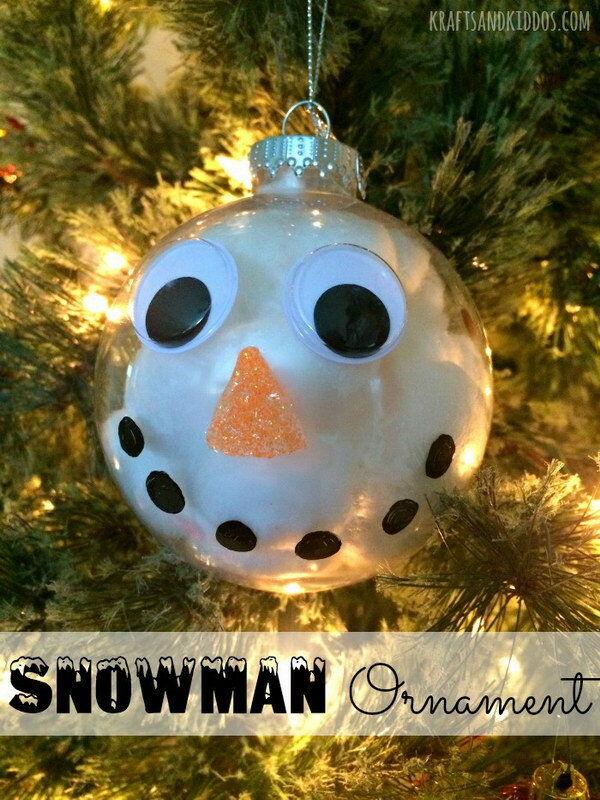 This is a great Christmas craft that kids can also get involved. See the tutorial via coupon closet. Bring some of that cinnamon love into your Christmas decorating with these simple cinnamon Christmas ornaments. Steps via clean and scentsible. 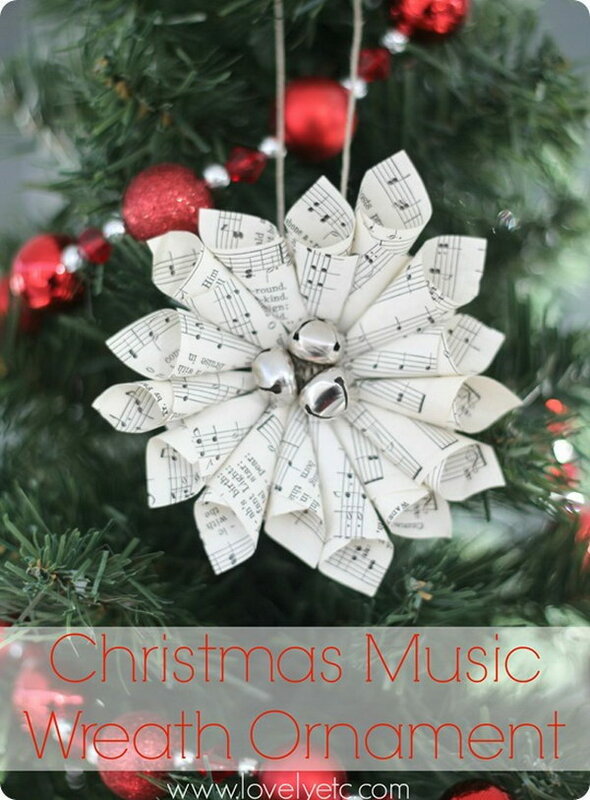 Great handmade Christmas ornament for music lovers! Tutorial via lovely etc. 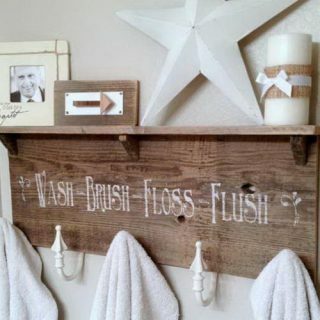 Get the easy steps to make it via uncommon designs on line. 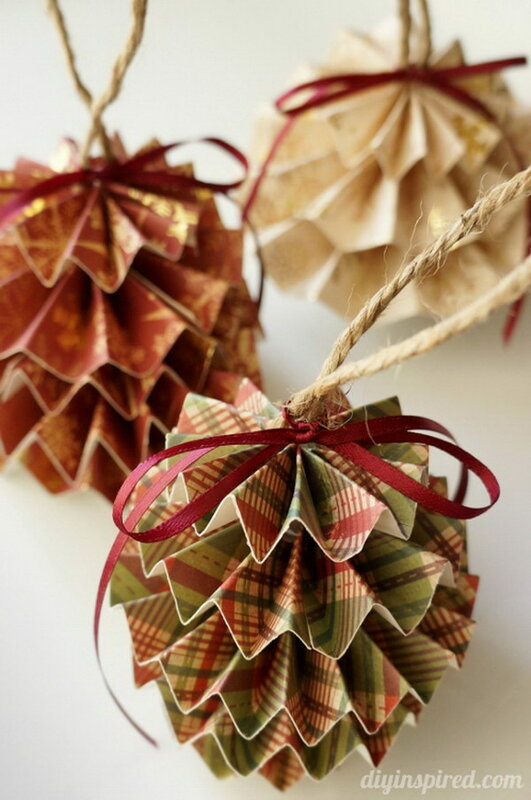 DIY Paper Christmas Ornaments. 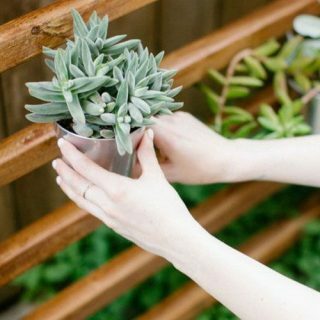 Get the tutorial via diy inspired. DIY Paper Punch Snowflake Christmas Ornaments. Instructions via theornamentgirl. 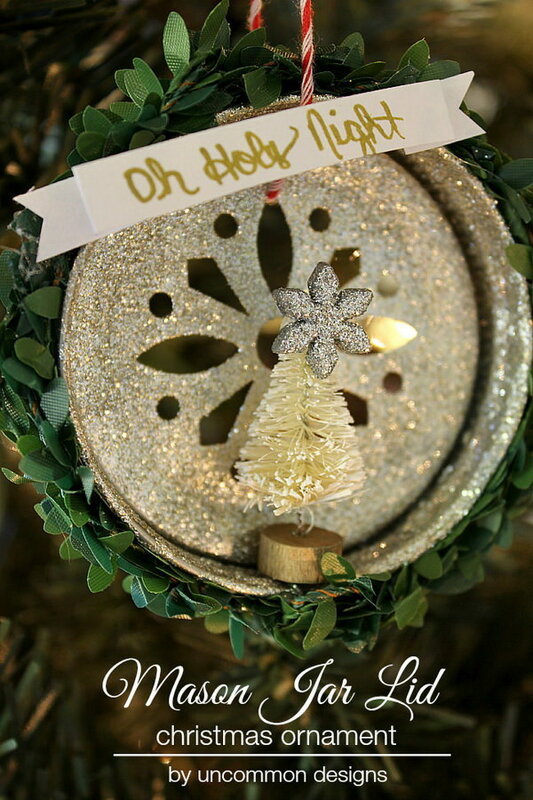 DIY Picture Christmas Ornaments. Instructions via joyzz. Here is a quick and easy tutorial to create the wood slice Christmas ornaments and add a bit of rustic charm to your home décor. Via Becoming Martha. Sweet Christmas keepsake ornament. Write down some of your loved ones’ favorites and roll it up into the ornament. Easy, quick to make in several minutes. Tutorial via clean and scentsible. 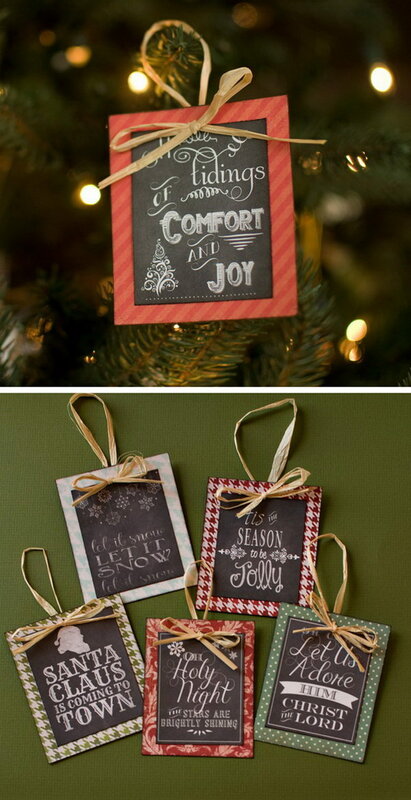 Turn the chalkboard printables into these unique and creative ornaments for your Christmas tree. Many free printables via over the big moon. 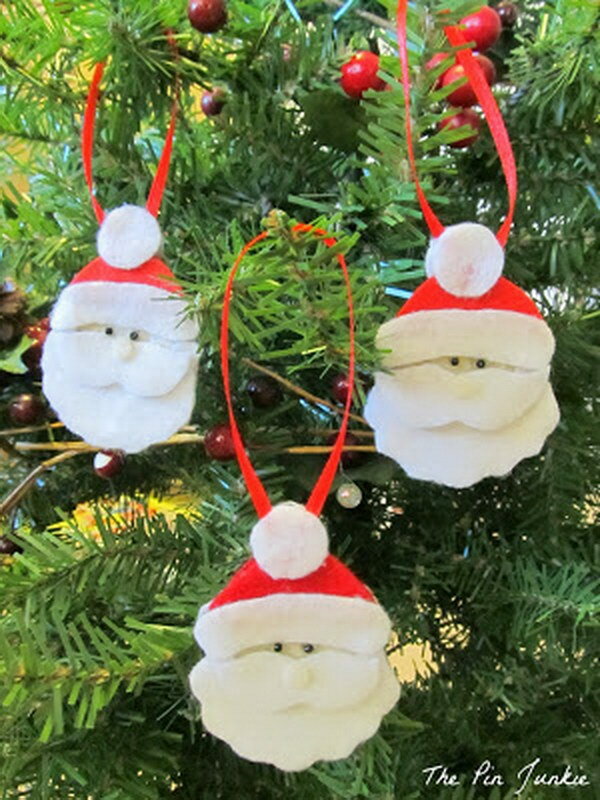 Handmade Paper Ornaments. 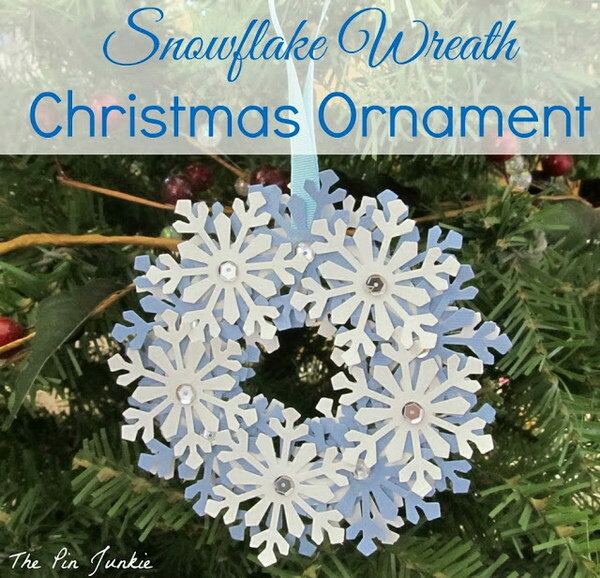 Another great recycle project to make snowy snowflake for your Christmas tree or room. Tutorial via fabart diy. 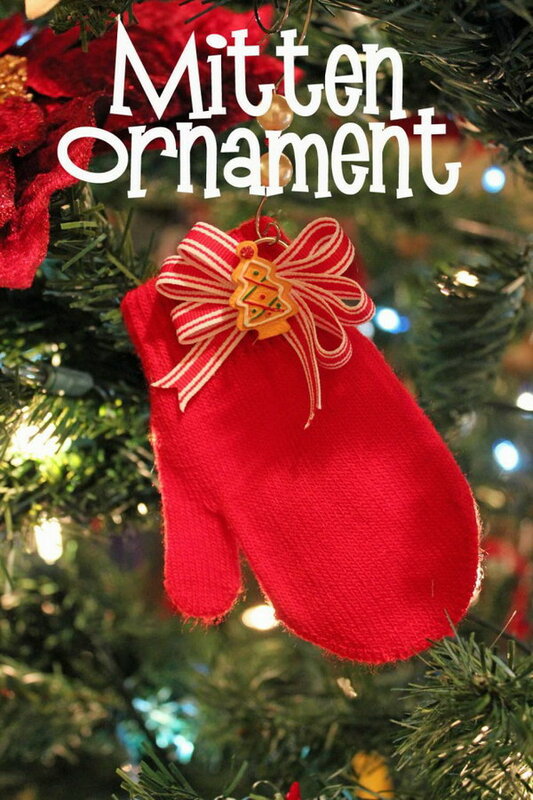 What a cool and special ornament to make this Christmas! It can be also a perfect Christmas gift for your loved ones. Tutorial via Fynes Designs. Here is a great tutorial you can make your own Snowflake Ballerina Ornaments in just a few minutes. Check out steps via krokotak. Take some old CDs and make these sparkly new mosaic ornaments for your Christmas tree! Easy and super fun to make with your families! 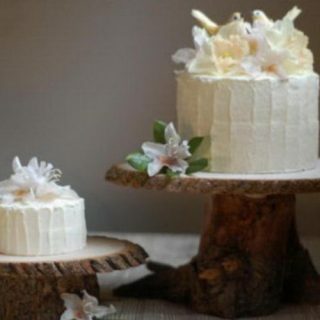 Tutorial via Creme Dela Craft. 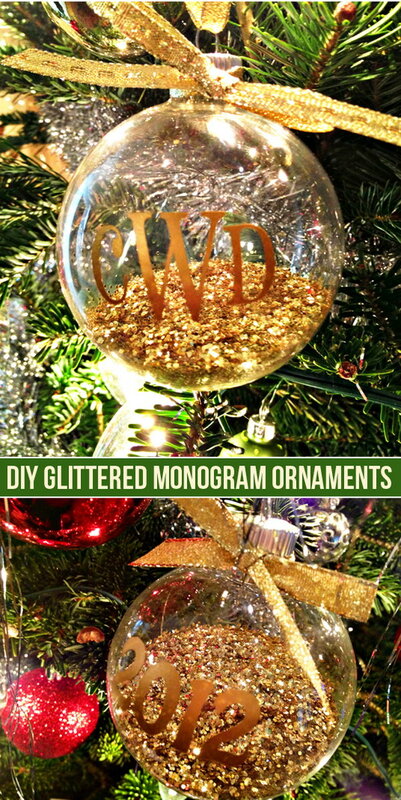 DIY Rustic Sliced Wood Christmas Ornaments. Get the tutorial via hip2save. A fun and easy holiday project for the crochet lovers. Hang on your Christmas tree for a rustic feel this holiday! See the tutorial via darice. 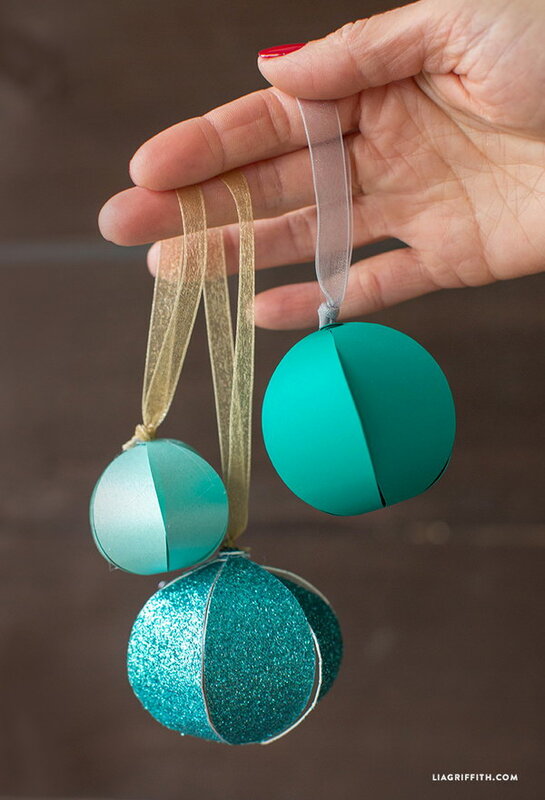 These easy paper ornaments will be great for your handmade Christmas decorations. Only takes you a few minutes to make and turns out to be so stunning on your tree! See the quick tutorial via Lia Griffith. Thank you for the beautiful Christmas ideas .